Sign Languages (SL) are the main tools used by Deaf people for access to information (AI), an essential issue to allow their social inclusion. 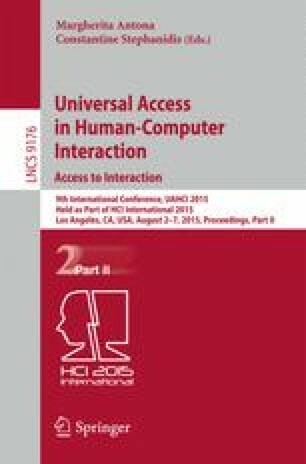 Information Systems (IS) have a key role in this AI, but in some cases they fail to work by not considering the needs of the Deaf, such as a Human-Computer Interaction (HCI) with communication by SL. The Automatic SL Recognition (ASLR) area has developed algorithms to solve technical problems, but there’s still need to develop HCI tools for users in real contexts. This paper presents a context-based collaborative framework to create and upgrade SL databases by Deafs, to improve the development process of ASLR systems from the HCI perspective.